Thanks to the Center for Networked Systems (CNS), Mansi Malik was able to attend what has become the premier conference for women in computer science (and for many men too). The second-year graduate student in Computer Science at UC San Diego was among the 35 UC San Diego students (including nine grad students) and 15,000 people overall attending the 2016 Grace Hopper Celebration of Women in Computing October 19-21 in Houston, TX. Overall, she says, the conference was a valuable experience. 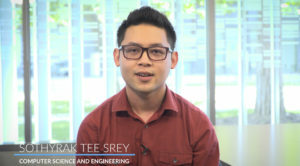 “There were great networking opportunities through the career fair and company-sponsored events and lunches,” explains Malik. 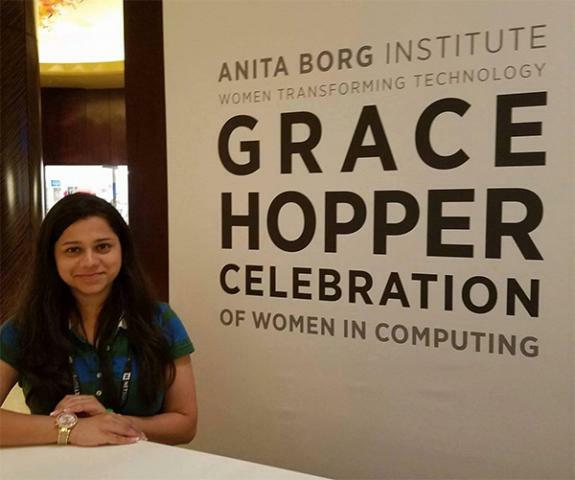 “I also talked to a lot of recruiters and engineers from tech companies about GradWIC and built some industry connections for us so that we can host more events.” She also appreciated a session on negotiating salaries, in which she learned that for every four men who dare to negotiate for a better starting salary, only one woman will attempt to negotiate – and the problem spills over into other areas because many women are unaware that they can negotiate for more than just salary. 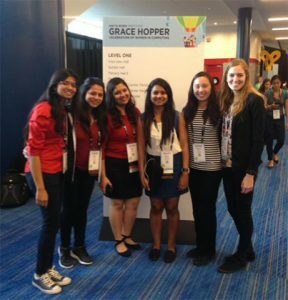 Many of the previous recipients of CNS travel grants to Grace Hopper Celebrations were also officers in GradWIC, including former VP Neha Chachra (who attended the event in 2011), Publicity Manager Karyn Benson (2013), and GradWIC Secretary Malveeka Tewari (2014). The previous winner, Vicky Papavasileiou, in 2015 is a CSE Ph.D. student as well. For a full list of past recipients, visit the travel grant page on the CNS website.